Electric buses are having a moment as falling battery costs make them increasingly competitive with diesel vehicles, and local and state clean-air and climate policies help drive deployment. 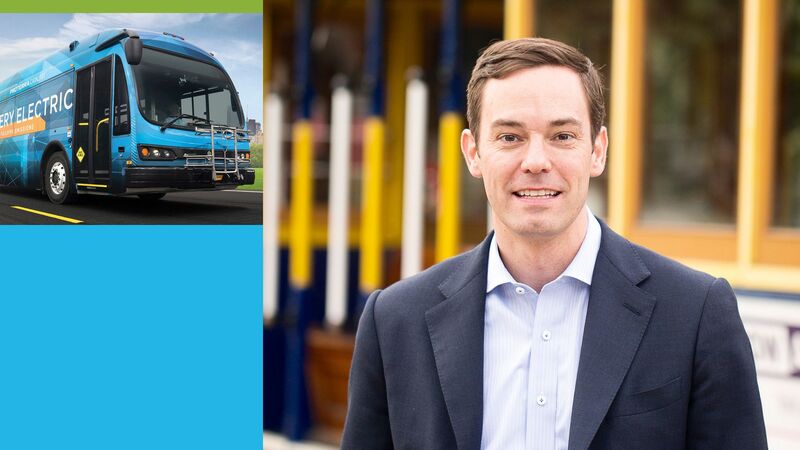 Big Oil: Popple revealed that the venture capital arms of major oil companies have made inquiries about potentially investing in Proterra, which has raised over a half-billion dollars overall, including a $155 million round closed last September. By now, you probably know that yesterday the Senate thwarted the Green New Deal resolution as every Republican and a small handful of Democrats voted no in the symbolic vote, while most Democrats voted "present." Where it stands: Plenty has already been said about the vote that Republicans called for knowing that it was politically tricky for Democrats. As the headline on this New York Times piece aptly put it, "Senate Blocks Green New Deal but Expends Plenty of Carbon Talking About It." 1. Climate is clearly having a moment in national and presidential politics, and it's one that could very well last, breaking with past election cycles where it scarcely surfaced. For instance, former Colorado Gov. John Hickenlooper, who's running in the 2020 election, moved yesterday to distance himself from the GND. The decision to promote his opposition as he seeks traction in the race is noteworthy, signaling how climate has broken through into a mainstream political topic. 2. The symbolic GND debate showed that the sweeping resolution is politically untenable right now and that Republicans see a political opportunity in attacking it. A half-dozen White House contenders among Democrats declined to vote yes on the resolution that they themselves co-sponsored. Yes, but: There's also been a recent shift on the right, showing some erosion of the GOP's frequent rejection of mainstream climate science. Instead, Republicans are increasingly offering their ideas, even as they stop far short of the kind of aggressive proposals that advocates want as scientists say that steep global emissions cuts are needed — and soon. Politico gets into that dynamic under the headline, "Republicans grasp for climate message." What's next: House Speaker Nancy Pelosi and other Democrats are rolling out a climate bill today. Senate Democrats, meanwhile, today are announcing an ad-hoc "special committee on climate change" to be led by Sen. Brian Schatz. Equinor, the Norwegian oil-and-gas behemoth, is among two new investors in Volta Energy Technologies, a consortium that provides venture financing to startups seeking breakthroughs in battery technology. Why it matters: The investment is a major sign of how the world's biggest oil companies are diversifying into low-carbon vehicle and grid tech, even though it remains a small part of their portfolios. It also signals a major expansion for Volta, which launched in late 2017 and has an agreement with Argonne National Laboratory to help validate promising tech using private funds. It has invested in four startups so far, including Ionic Materials, which is trying to commercialize solid-state batteries, and Conamix, which is developing a system to produce high-energy batteries with electrodes that don't rely on cobalt. Where it stands: Equinor and the big Korean auto supplier Hanon Systems have both made a 5-year commitment, according to Volta. They join existing Volta backers, which include the utility giant Exelon and the lithium supplier Albemarle, and bring the total funding to $180 million, a spokesperson said. Speaking of Big Oil, BP said Tuesday that it's launching a 3-year, $100 million effort to cut greenhouse gas emissions from its oil-and-gas exploration and production operations. Why it matters: The effort is another sign of how the world's biggest fossil fuel companies, under pressure from investors and activists, are taking more steps to curb emissions. The big picture: Via Bloomberg, "The new Upstream Carbon Fund is in addition to the $500 million that BP has already pledged to invest each year in low-carbon energy technology. The London-based company said it’s already achieved more than 70 percent of the 3.5 million-ton sustainable reduction in greenhouse gas emissions its targeting from 2016 to 2025." NEW YORK — A power technology conglomerate, known mostly for traditional energy sources like natural gas, has launched a new company to provide solar electricity and battery storage, Axios' Amy Harder reports. Why it matters: The announcement from Mitsubishi Hitachi Power Systems Americas, made Monday at the Bloomberg NEF conference, shows how the world’s biggest energy and technology companies are adapting to a world, or at least many parts of it, that is demanding cleaner energy sources. Driving the news: The new company, called Oriden, is a project development firm under the umbrella of Japanese company. 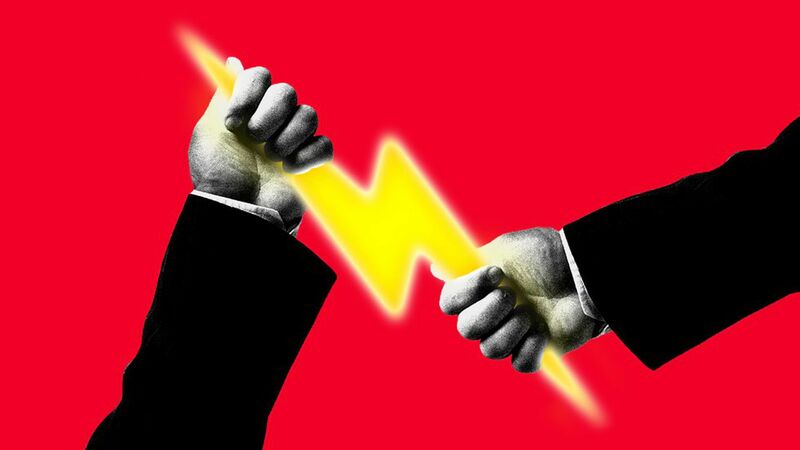 The name is a play on the English word “origin” and the Japanese word “denki” (電気), meaning electricity. “We have to be thinking about what’s next,” says Browning, adding that hydrogen as a form of storage is also something the company is pursuing. Axios Expert Voices contributor David Livingston of the Atlantic Council sizes up the “Energy Transition Act” (ETA) that New Mexico Governor Michelle Lujan Grisham signed into law on Friday. The big picture: It commits the state to 100% carbon-free electricity by 2045, along with interim renewable energy targets. Why it matters: Despite the fanfare and handwringing in Washington over the Green New Deal, carbon taxes and related measures with little near-term political tractability, improvements in state clean energy standards have garnered bipartisan support and made meaningful market impacts. Details: The clean energy standard established by the ETA grew out of renewable portfolio standards, which 38 states and the District of Columbia use to mandate a given share of electricity production from renewables by a target date. More than 60% of U.S. renewables growth from 2000 to 2015 was driven by state-level RPS compliance. Clean energy standards do not preclude the exclusive use of renewables to meet their targets, but are more technology-neutral and can thus accommodate nuclear power, carbon capture and storage, or other technology that can compete on cost and zero-emissions credentials. What's next: California set the tone in late 2018 with a bill that commits the state to 100% carbon-free electricity generation by 2045. A number of states across the U.S. heartland may now follow suit. Livingston is the lead for climate and advanced energy and deputy director in the Atlantic Council’s Global Energy Center.